You are here: Home / News / Latest News / Enterprising Eden Boys’ School pupils smash Children In Need fundraising target! A team of enterprising pupils helped our school smash its £2,500 charity fundraising target, through a week of bake sales and fun activities. In their latest Enterprise Project, around 30 of our pupils who take part in the Prince’s Trust programme chose to support both Children In Need and the Prince’s Trust Activity Development Programme as their school fundraising project. 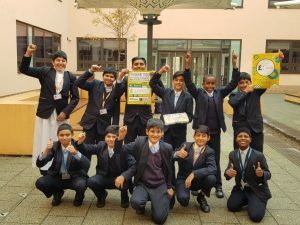 Since September the boys have been working together to plan our school’s fundraising for Children In Need, while developing their own leadership and enterprise skills. The pupils’ organisation of the fundraising week saw them plan, cost and promote products and activities, and liaise with local businesses to encourage their support through donations. They also gained valuable experience of motivating others by ensuring all form groups were engaged in the activities, and kept the fundraising momentum going throughout the week. The first day of our Children In Need and Prince’s Trust fundraising raised over £2,000 – over two thirds of the school’s target for the entire week! The money was raised through a non-uniform day packed with fun activities, including penalty shoot-outs, sporting challenges and the ever-popular Sponge The Teacher. In addition, our Prince’s Trust team sold pizza at lunchtime, and cakes, donuts, popcorn and drinks during breaks in the week leading up to Children In Need to help us exceed our overall £2,500 target. 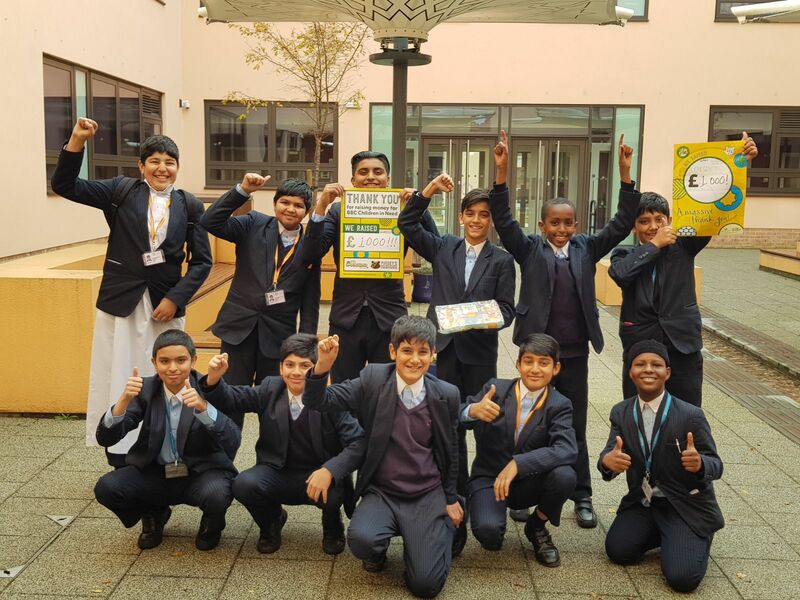 Year 8 pupil Bazil Anwar said, “When we looked into supporting Children In Need, we realised there are young people who are not as blessed as us, so it was a fantastic chance to help them. We had a penalty shoot-out, food and drink stalls, table tennis and basketball competitions.